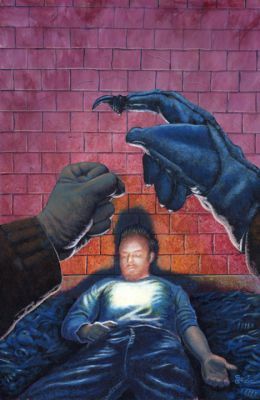 Cover for "Deathflash" by Gene O'Neill. Published by Bad Moon Books. Acrylic on board. 12" x 18"